Discussion in 'Superhero Products' started by Gambit8370, Apr 10, 2006. 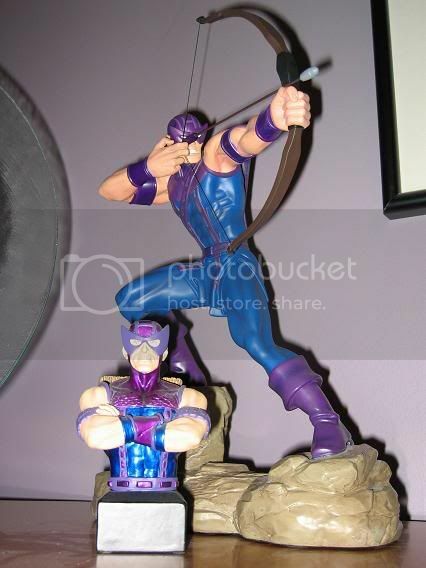 Awwww you got that awesome Hawkeye Statue? 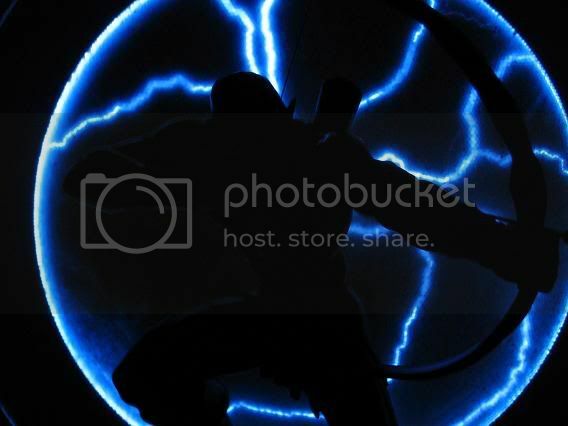 And one o them electro finger ball thingies. No no no, the correct answer is..."Who gives a ****?" You don't give a ****? Get the **** outta Dodge then. I have never heard of Hard Hero. I might suggest checking them out. I'm already considering a second and third piece from them. Eh, it's nothing personal. I just had to take the opportunity to use Triumph the Insult Dog humor. BTW, you're in Elgin? I'm not too far from there. Is Elgin a bit north of Geneva/Batavia? 20 minutes north on Randall Road. Ah...I know the area. I think there's a Meijer's right along that way. You do the ML thing? There are actually TWO Meijer stores between here and there. Yes I do the ML thing. Et cetera, ad infinitum, y nauseum. 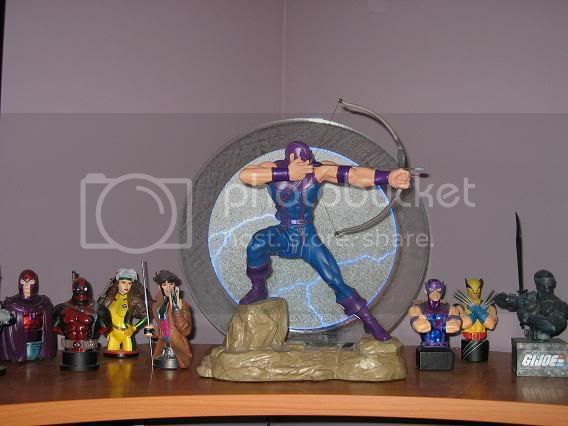 I'm debating posting pictures of some of my other obsessions / collections (comics, toys, etc.). I'm from Long Grove, about 20 minutes NE of there. How's the figure supply in the area?